1811 - Hotchkis X-Tend Suspension System - Dezod Motorsports Inc - Home of the automotive performance enthusiast since 2002. 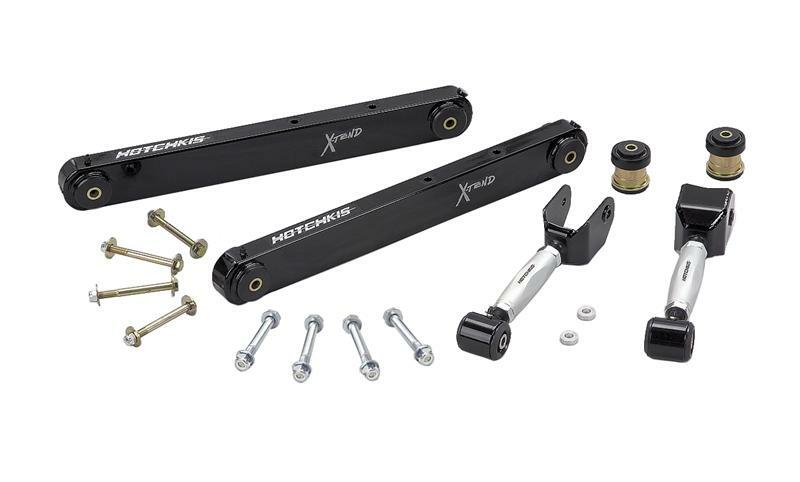 The Hotchkis X-Tend rear suspension package moves the axle back on your vehicle allowing for better looks and more wheel tire options. Drive shaft modifications are not necessary and installation is a direct remove and replace of factory components. 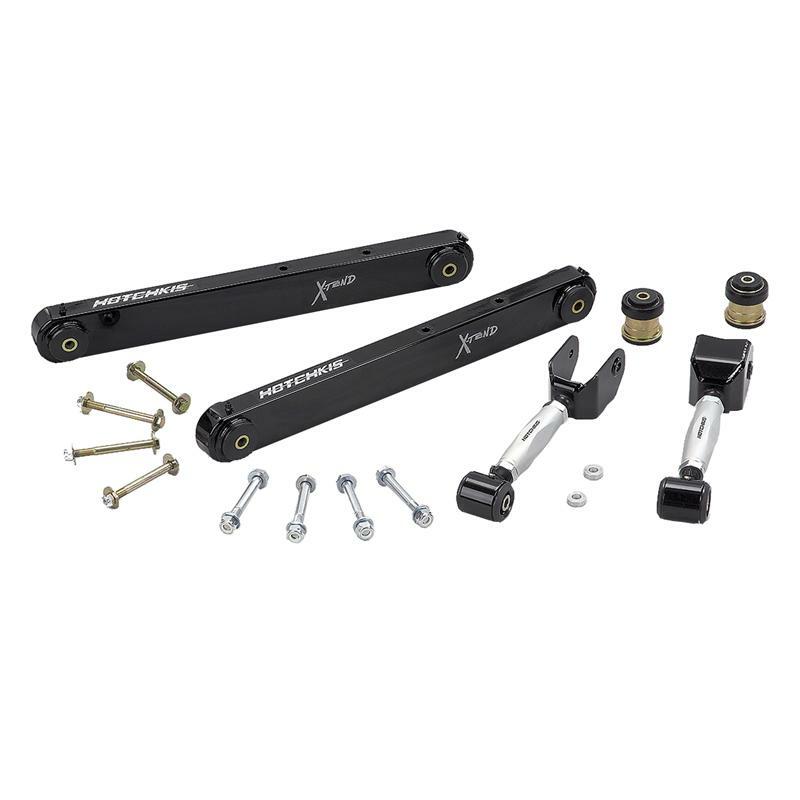 Our upper and lower trailing arms work together to positively locate and control the rear axle. Launches are quicker, smoother and more consistent by eliminating wheel hop. Cornering and overall stability are dramatically improved through increased roll stiffness and sway bar effectiveness. The fabricated trailing arms are constructed from high quality, TIG welded, .120” wall steel tubing. 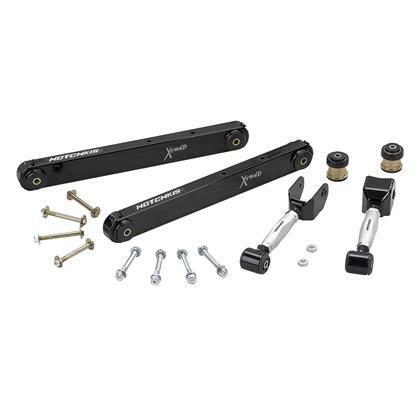 They feature adjustable upper trailing arms, shock spacers and are fitted with special fluted polyurethane bushings. Grade 8 Hardware is included with suspension packages.